May 25, 2017 – Sierra Nevada Corporation (SNC) successfully passed the third integration milestone for the Dream Chaser program under the NASA Commercial Resupply Services (CRS2) program, bringing it a major step closer to providing resupply services to the International Space Station (ISS). 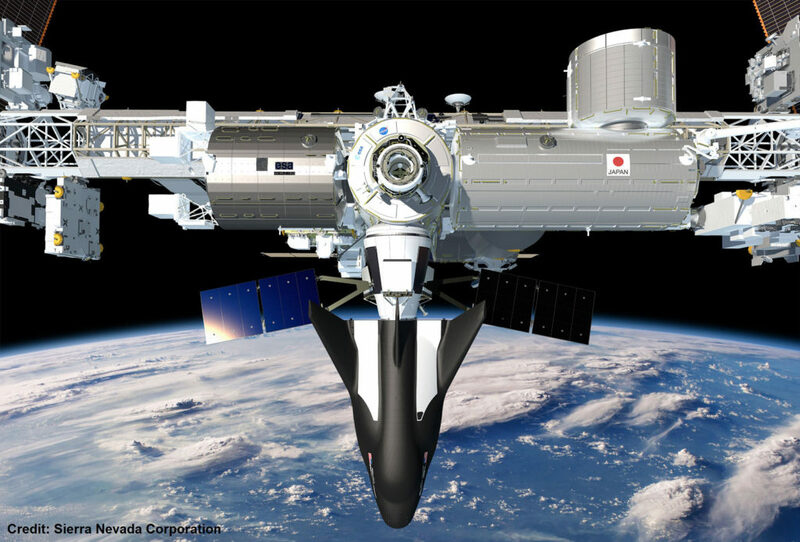 CRS2 Integration Review #3 (IR3) confirmed SNC’s Dream Chaser Cargo System design meets NASA’s key requirements and maximizes probability of mission success during future flights. The spacecraft is scheduled for at least six missions between 2019 and 2024. The reliability of the Dream Chaser design was also thoroughly reviewed as part of NASA’s Phase I Safety Review Process, which successfully demonstrated safety and mission assurance criteria. The reviews covered all stages of mission operations including ground, launch, flight and landing. The spacecraft’s unique cargo design transports more cargo mass (5,500 kilograms) to the ISS each mission. In addition, a significant amount of cargo, almost 2,000 kilograms, is directly returned from the ISS to a gentle runway landing at a pinpoint location. Dream Chaser’s all non-toxic systems design allows personnel to simply walk up to the vehicle after landing, providing immediate access to time-critical science as soon as the wheels stop. The complex and thorough review process found no significant design, build or system issues and underscored the Dream Chaser’s readiness for flight. 5 Safety Review Phase 1 meetings were conducted prior to the IR3 review and involved the delivery of 46 individual Safety Data Packages developed under our S&MA team. In addition to completing this milestone, the Dream Chaser atmospheric test vehicle is in preparations for flight testing that will help verify these designs. The spacecraft is currently testing at NASA’s Armstrong Flight Research Center in California, having just successfully completed Phase One ground testing leading up to its second free flight test later this year. Sierra Nevada Corporation’s Space Systems Division is based in Louisville, Colorado.